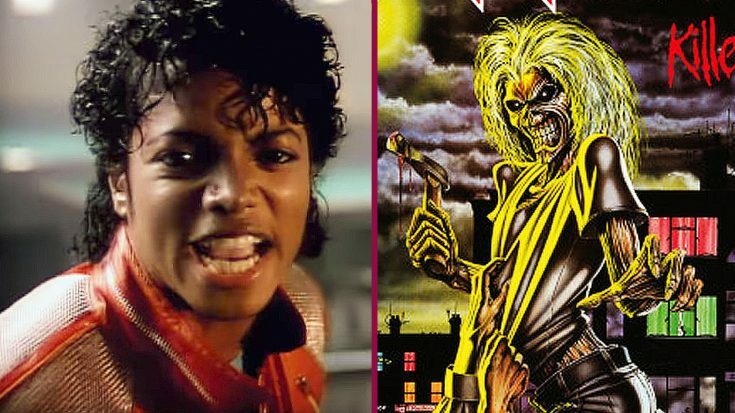 Someone Made A Mashup Of Michael Jackson And Iron Maiden And We Can’t Stop Laughing! You’d be surprised just how well one singer’s vocals fit over a completely different backing track. For example, would you ever guess that Ozzy Osbourne’s iconic Crazy Train vocal track would work placed over Earth, Wind, & Fire’s sing September? I didn’t think so either, but as it turns out, it works like a charm! It’s truly mind blowing just how certain editors are able to find the unlikeliest of pairs and mash them up into utter perfection! The same can be said for this mashup we have here. Can you imagine what it’d be like if someone put Michael Jackson’s vocal track from Beat It and put it over Iron Maiden’s The Trooper backing track? It sounds absurd, right? Well, it’s not nearly as crazy as you think. To put it simply, this may just blow you away! I know I was surely blown away! See for yourself!